I’d like to gather up as many RPG bloggers as possible who would like to trumpet the praises of their favorite, forgotten, classic RPGs. Any RPG can be picked from any year of any genre, but it should be an RPG that no one seems to remember or appreciate…except for you. 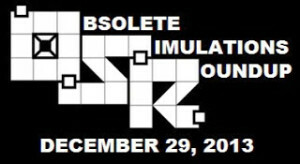 And, on December 29, show your support and appreciation for your orphaned RPG by telling us all about it. Why is it special, what makes it fun, and why should folks start searching for their own copies of this classic? And, if you’re so inclined, offer up some supplemental material for it. Tell us of your house rules, or create a new creature. Describe a scenario for it, or flesh out an NPC. Give your game the attention it merits on that day! So if you’re interested in doing such a thing, bop on over to The Savage Afterworld and read the rest of the post. Barring conflict, confusion, or calamity I’ll be posting a little something that day myself. This entry was posted in Games on December 11, 2013 by the venomous pao. Unfortunately, all the roundup links go to blogs, rather than the posts they were supposed to go to. Gonna be useless in a month or so. Thanks for the heads up on that, amigo. I’ll see if I can’t gather all of the relevant posts’ direct links and stick ’em in my own post so that uselessness can be somewhat avoided. Cheers! Ok, my own post on the subject (Droids: A Cybernetic Role-Playing Game) now has a proper list of direct links to the other participants who did, in fact, post OSRoundup posts. Archivist ahoy!